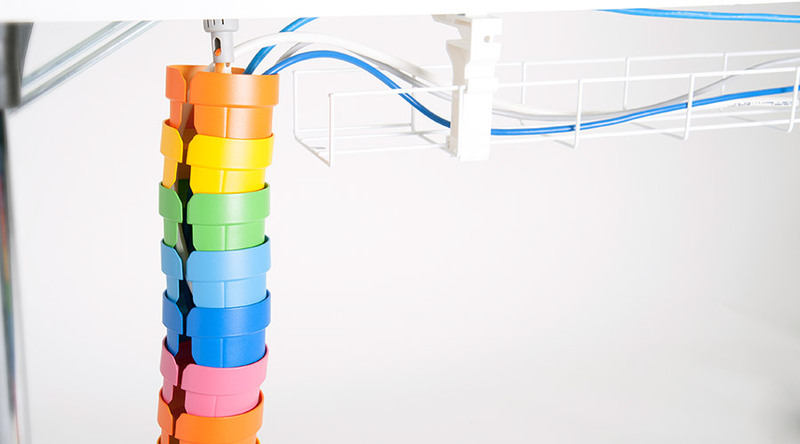 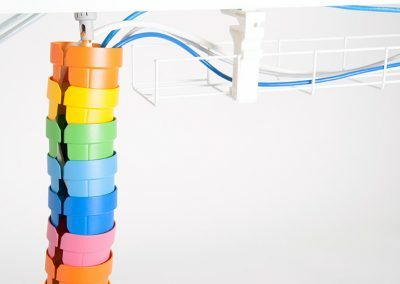 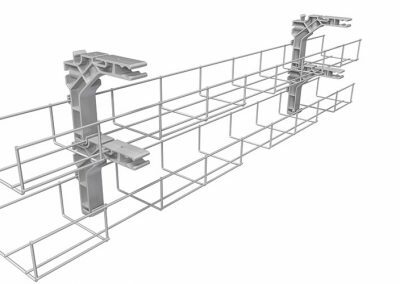 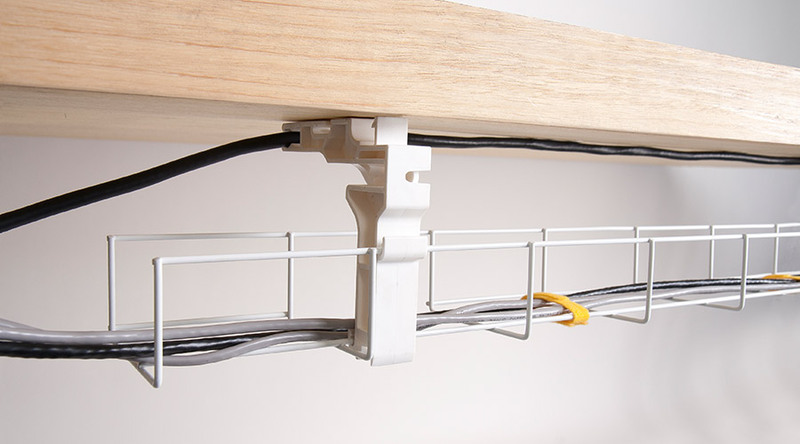 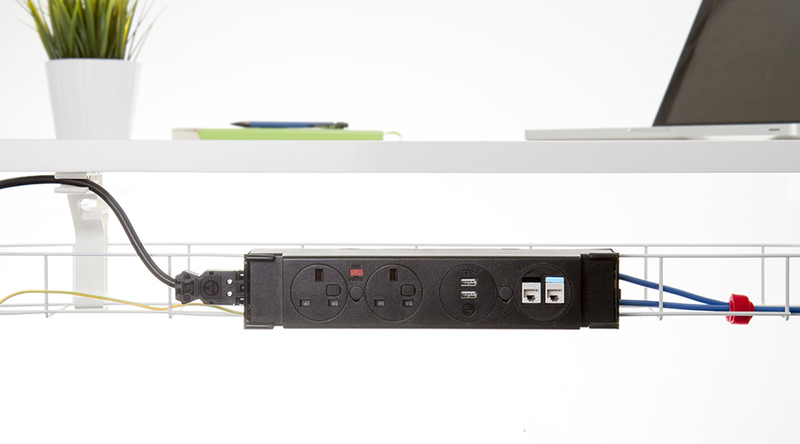 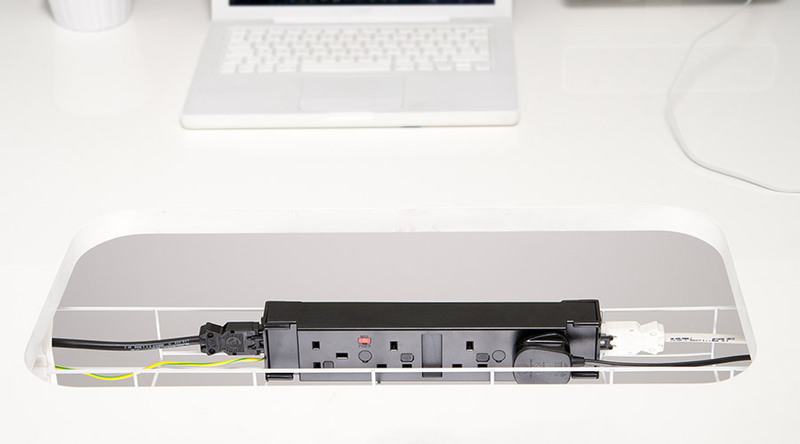 PATHWAY is a unique new modular cable management solution from OE Electrics, designed to aid compliance with BS6396. 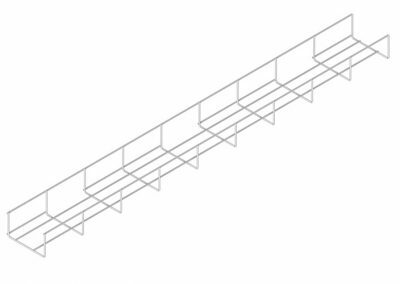 PATHWAY cable tray is available in 600mm and 900mm sections with a contemporary and durable white powder coated finish. 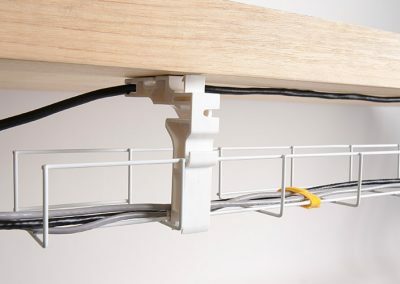 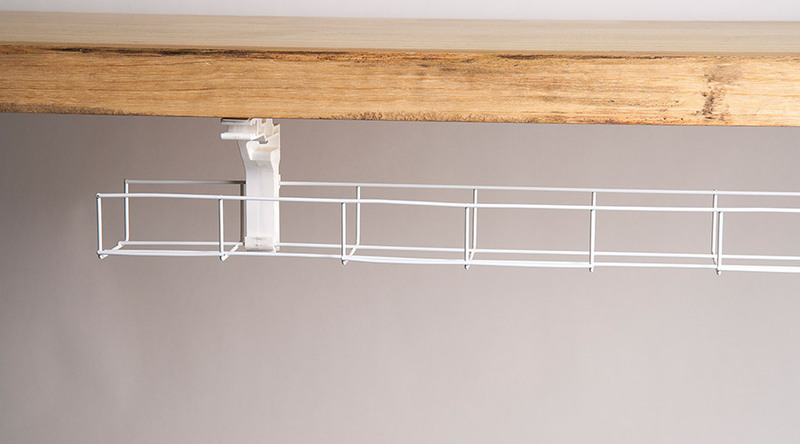 Each section is supplied with a pair of white moulded PATHWAY BRACKETS which allow PATHWAY to be quickly fitted to the underside of a desk top or to a modesty panel. 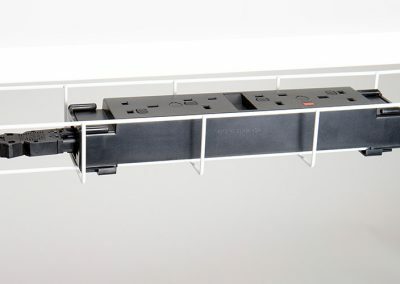 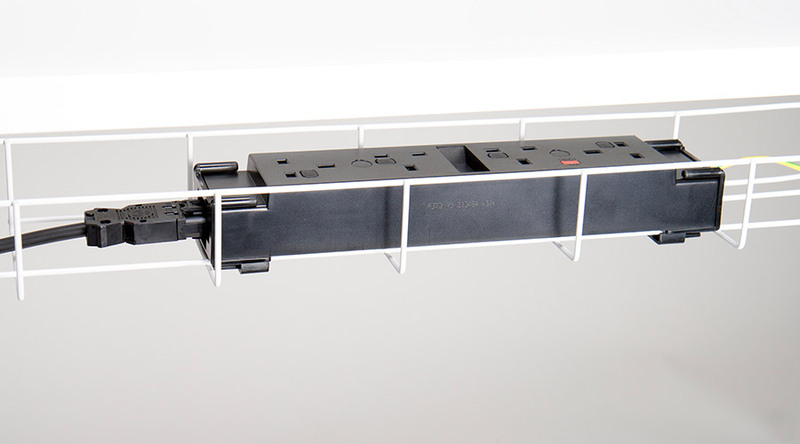 Innovative features such as twin cable retaining slots in each bracket, and the ability to snap brackets together to double stack PATHWAY sections, greatly assist in power and data cable segregation as required by BS6396. 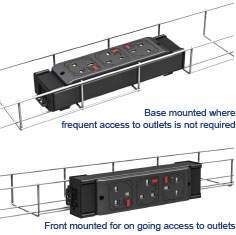 A range of OE Electrics’ power modules will securely snap onto PATHWAY (additional clips may be required) and a moulded twin data unit is also available for mounting data keystones to PATHWAY. 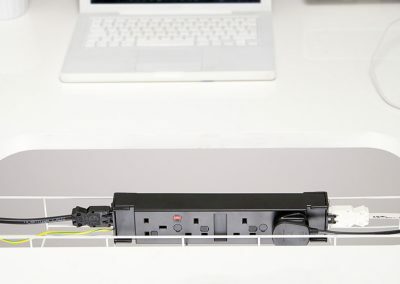 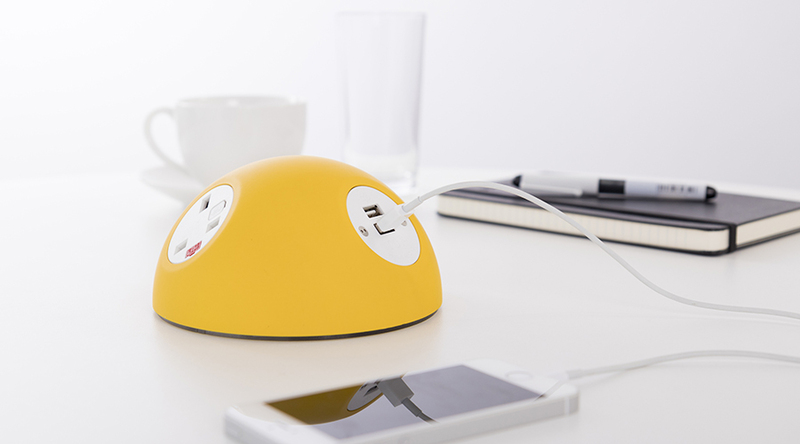 PATHWAY is available from stock in 5 standard kits to fit most desks. 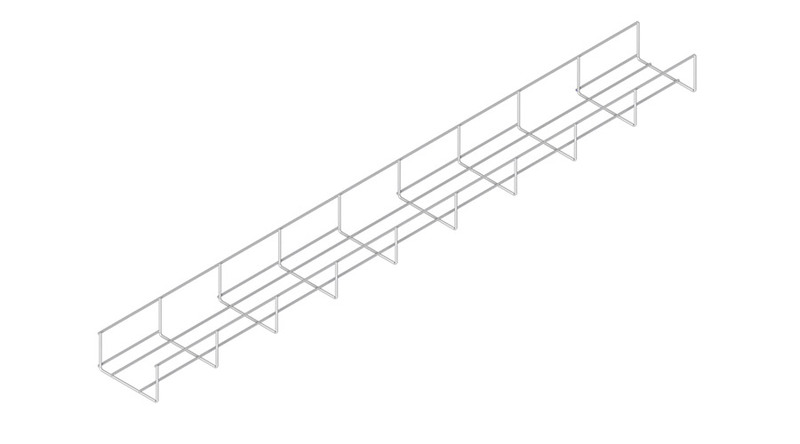 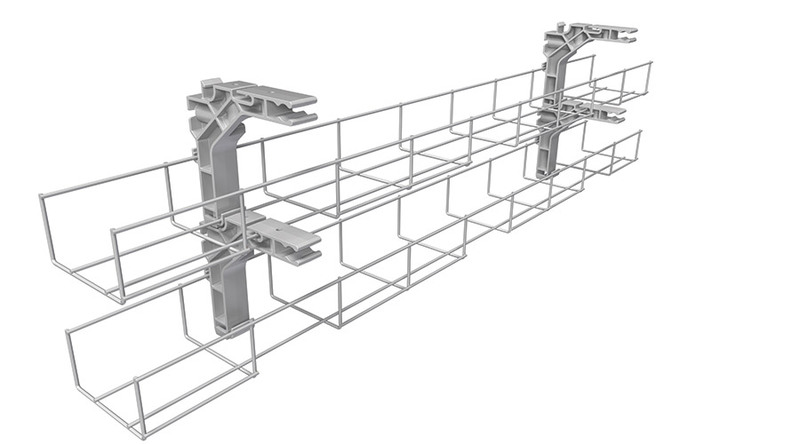 By fixing the sections up to 100mm apart intermediate length requirements can be easily accommodated. 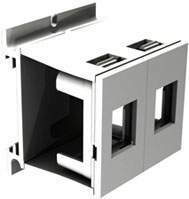 Utilising the PATHWAY clip the user can fit POWERUNIT, POWERBOX or POWERBAR to either the front of PATHWAY for ease of access, or the base of PATHWAY when access is not generally needed after installation. 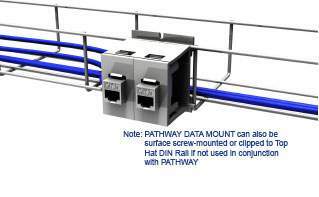 PATHWAY DATA MOUNT allows on-site keystone data installation without the need for a GOP box. 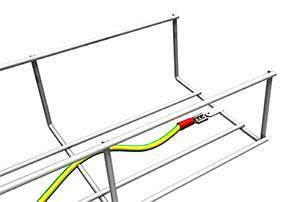 Compliance with the earthing requirements of BS6396 can be achieved by bonding to the integral 6.3mm earth tab. 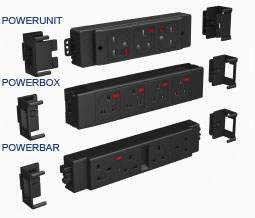 PATHWAY EARTH LEAD must be specified with power module order.